Paytm Mall has newly launched new services which brings up no-cost every month installments, extended warranty, device insurance and easy exchanges, for white goods and mobile phones. SoftBank Group and Alibaba Group-backed e-commerce operator looks to complement its offline-to-online (O2O) platform. 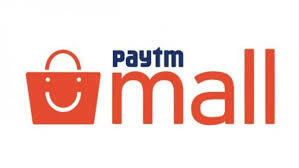 Amit Sinha, chief operating officer at Paytm Mall, told ET as " The difference between us and the others is that we have a strong wide array of products, for which we are known for. Secondly, till now, none of these services were available in the offline sector… It is a huge challenge, and one that we are looking to solve for them"
Paytm Mall has partnered with Samsung, LG, Panasonic and Symphony, and has also brought in financial partners, including ICICI Bank and Bajaj FinServe. Sinha said " We expect to reach all 7,000 pin codes over the next three months. EMI and warranty services, being primarily tech-enabled services, are already operational on our platform, This is a perfect example of how the O2O strategy should work." Further added "It took a bit of time for us to implement the nuts and bolts of the O2O model... It took us some time to evolve to a level where we could convince everybody that this was a great opportunity for everybody in the ecosystem"